Sparkly Sunday = Sparkly September! As you know I'm a singer and over the years I've played many a gig around the UK, Europe and Worldwide. I've always loved glitter & sparkles and whenever I was on stage I'd pile on the glitter, whether it was wearing a super sparkly necklace a glittery lip-gloss, glitter dust on my face or sparkly gel on my arms... The more sparkle I had on, the better it was! Sitting in-front of that dressing room mirror piling on the glitter made me happy, excited and feel great before heading on stage to sing! This nickname slowly turned from "Glitter Fairy" to "Sparkles" and before long everyone started to call me "Sparkles". I soon realised how much "Sparkles" became a big part of my life... "Sparkle" isn't just about the glitz and glam and the glitter... no its a frame of mind. I WANT TO SHARE MY SPARKLES WITH YOU! 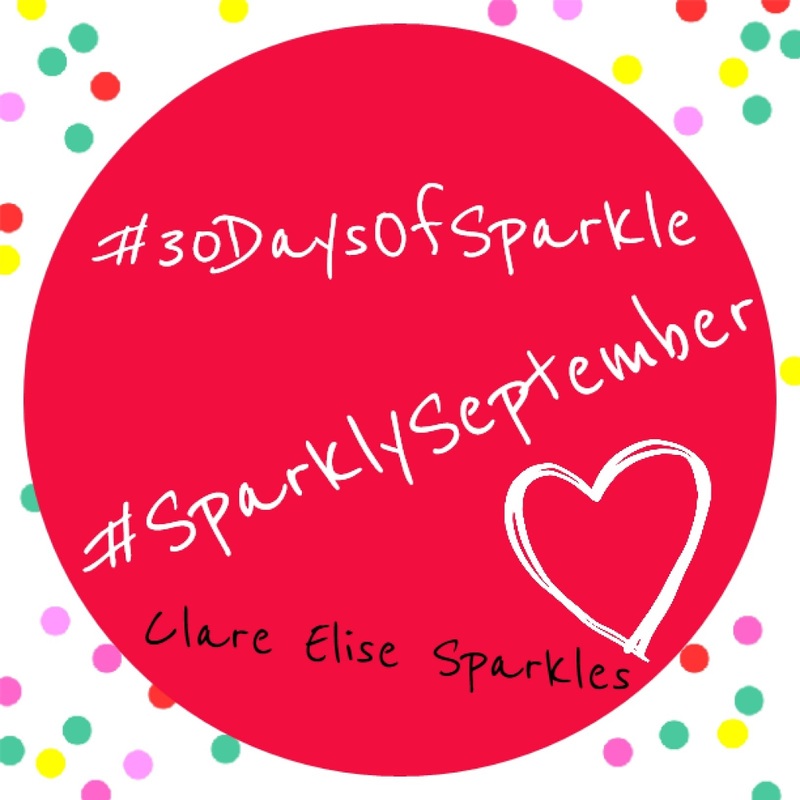 The 1st September 2014 will kick off a month of Sparkle and every single day I'll upload on to Instagram, Twitter & Facebook + Pinterest a Sparkly Quote... this quote should be shared with friends and family... Share The Sparkle & don't forget to use #30DaysOfSparkle & #SparklySeptember when sharing! Lets spread joy, love and sparkles in September to all our family and friends and loved ones and lets brighten everyone's day!! !